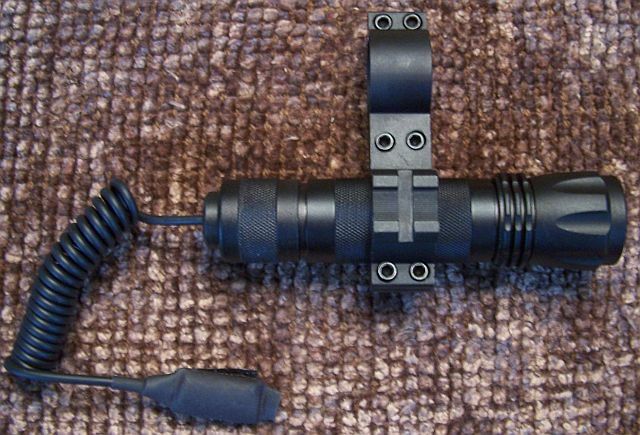 A super high grade light setup that will fit any one inch scope body or shotgun magazine tube. Includes a pressure switch and momentary button or stays on. Two extra mounting platforms on the sides of the mount for accessory lasers or slave sights. This light is in constant use around RRAGES headquarters. Everyone likes it and it is totally dependable. 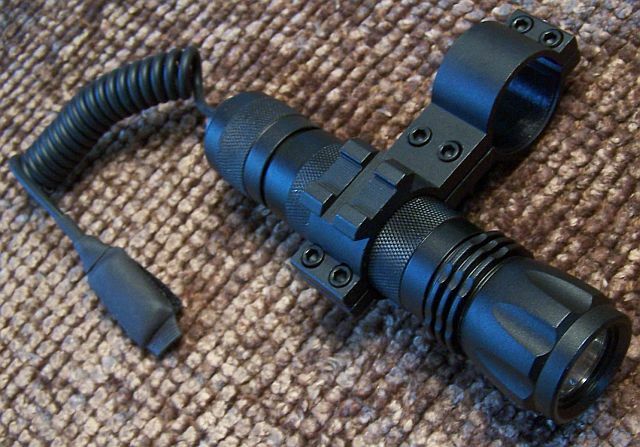 The light has a belt clip on the side for independent use. 85 lumens - extremely bright and useful light.